The Mamachic is a stylish, eco-friendly and multipurpose wrap, designed by a new mom for other new moms. Made from soft, double-layered bamboo knit with multiple snap fastenings, the Mamachic is manufactured by a worker-owned co-op in the US. It can be worn in dozens of ways including as a scarf, a poncho, or a nursing cover, and it can even be used as a burp cloth. Read on for details. The Mamachic was designed, prototyped and developed by Angela Tsai, with valuable input from her husband, dancer Michael Hollick. After the birth of their first child, the family hit the road following Hollick around on tour with The Lion King. Living a minimalist lifestyle on tour, Tsai noticed a gap in the market for a stylish, compact, sustainably produced and durable nursing cover and burp cloth, and hit upon the idea for the Mamachic. Tsai now manages the Mamachic business and has partnered with Opportunity Threads, a North Carolina worker-owned cooperative that manufactures garments. 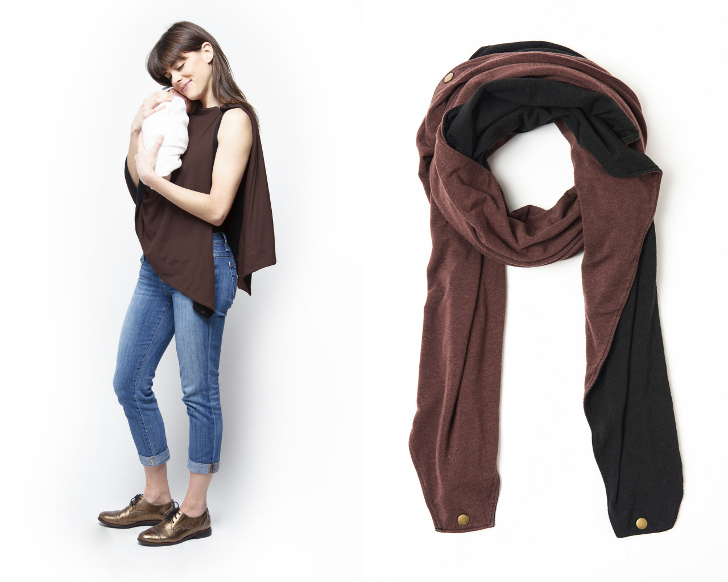 The Mamachic is made from double layers of knit fabric containing 66% rayon made from bamboo, plus cotton and spandex. The fabric is dyed with low-impact fibre-reactive dyes and is machine washable and can be tumble dried if necessary. However, it is the snap fastenings that really make the Mamachic stand out from similar products. They make it easy to fasten the fabric any which way, transforming it from cape to handkerchief top to snood to wrap skirt with just a few clicks. The Mamachic is available from the Mamachic online store. It comes in five colorways and retails for $69. Tsai now manages the Mamachic business and has partnered with Opportunity Threads, a North Carolina worker-owned cooperative that manufactures garments. 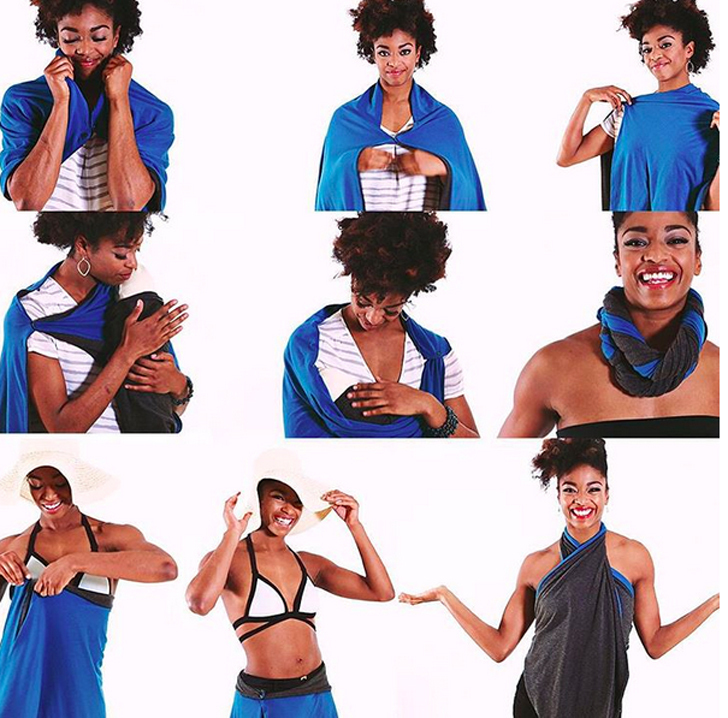 The Mamachic is made from double layers of knit fabric containing 66% rayon made from bamboo, plus cotton and spandex. The fabric is dyed with low-impact fibre-reactive dyes and is machine washable and can be tumble dried if necessary. It's the snap fastenings that really make the Mamachic stand out from similar products. They make it easy to fasten the fabric any which way, transforming it from cape to handkerchief top to snood to wrap skirt with just a few clicks.